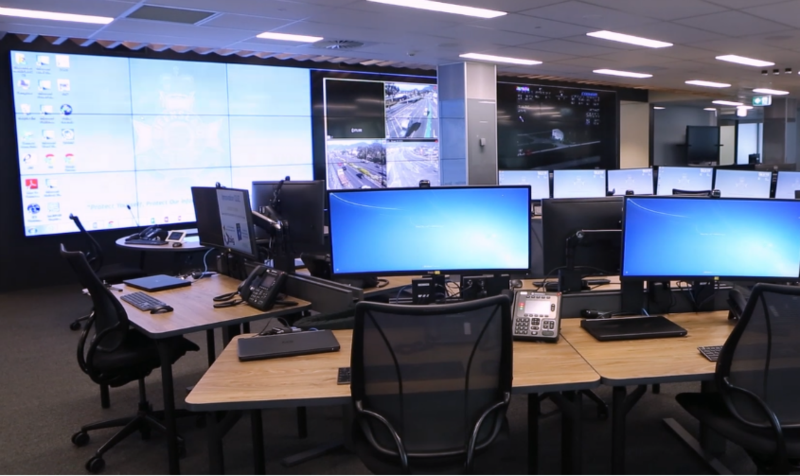 A NEW state-of-the-art Joint Emergency Services Coordination Centre purposely built for the 2018 Commonwealth Games has been unveiled on the Gold Coast and will be put to the test this weekend during the GC600. 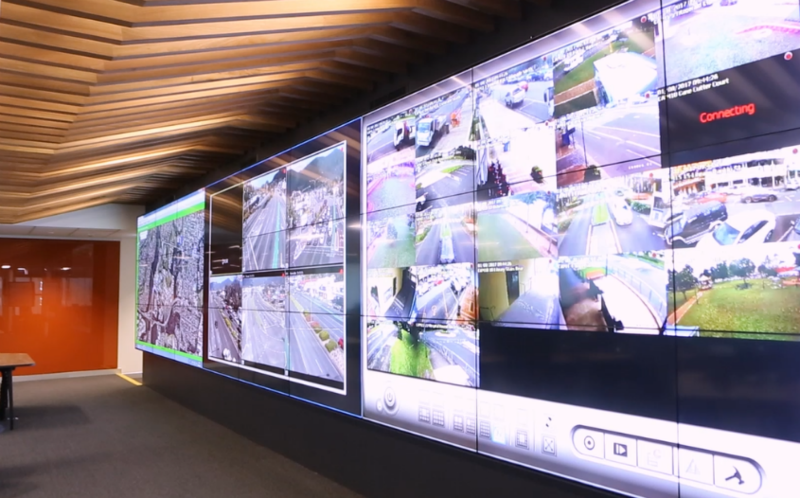 The facility incorporates the latest technologies in surveillance and incident and event management and will become the safety and security nerve centre during the 2018 Games. Scroll down to take a tour! 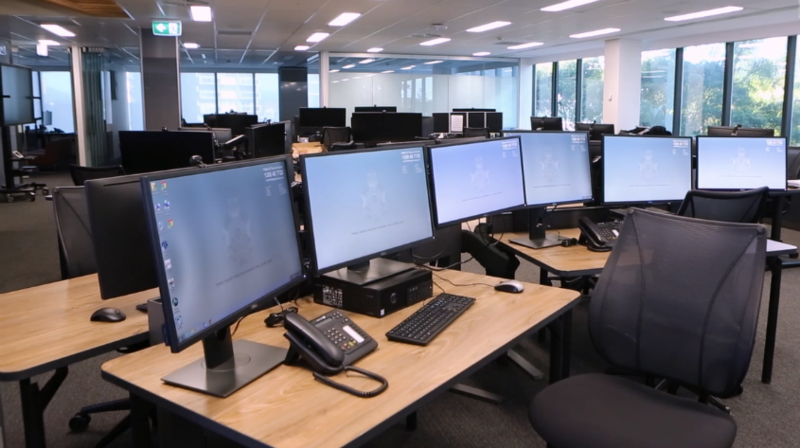 The purpose-built ‘bunker’ provides a workspace for over 50 people across two floors and can be altered to manage multiple large-scale incidents as well as smaller event operations. The highly configurable space was recently completed after undergoing a major 18-week renovation and fit out. The centre includes several mobile workshops, conference rooms, a breakout room for incident management and the extensive use of operable walls to create flexible working environments. Scroll down for video! 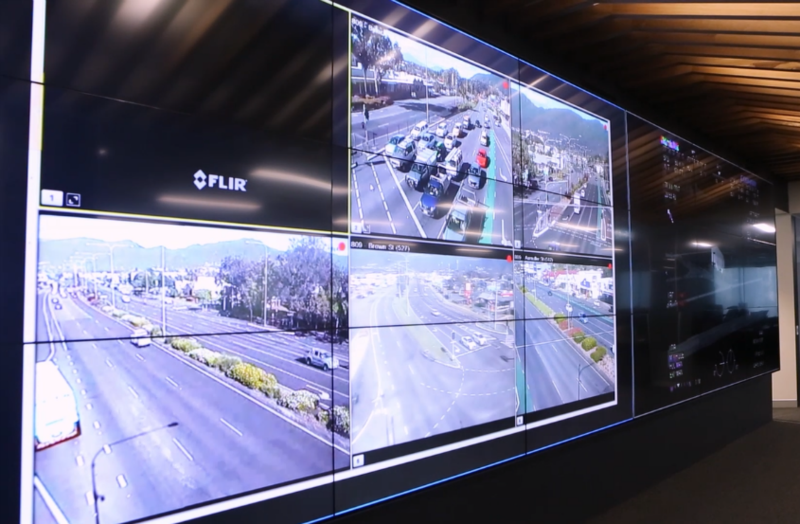 Once the Games are over, the state-of-the-art facility will remain a permanent fixture on the Coast and will assist in managing major events like the Gold Coast 600, Schoolies, smaller scale planned operations and critical incidents. Police Minister Mark Ryan said the centre would go on to be a significant legacy of the Commonwealth Games. “In order to ensure the safest Games possible, it was vital to build a cutting-edge, adaptable facility to deliver the safety response for GC2018,” Minister Ryan said. “The JESCC is that facility and it will be a vital part of our safety and security operation here next year. The JESCC will be fully tested this weekend during the Gold Coast 600 in order to refine operability and coordination across the emergency services. 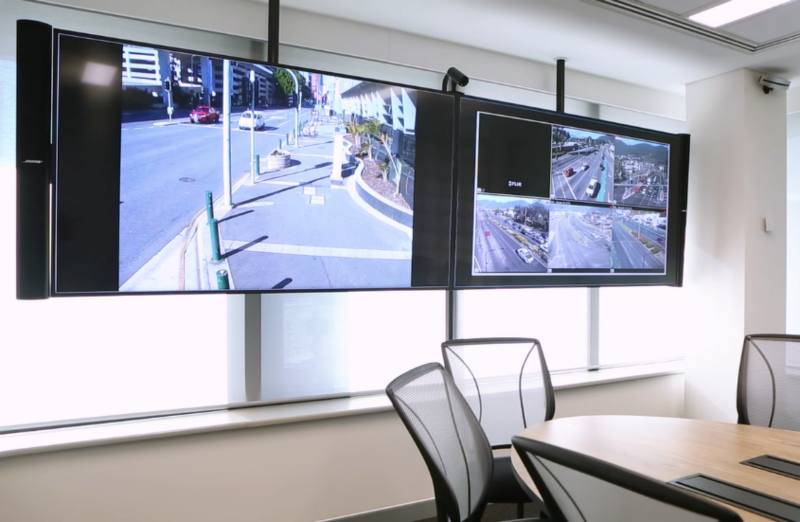 “While the JESCC is now complete, it is important to make sure that everything is working as it should – and the Gold Coast 600 this weekend provides police and other emergency services with the perfect opportunity to stand it up and test it out over a few days,” Minister Ryan said. “A smaller-scale successful test of the JESCC was conducted during the Gold Coast marathon earlier this year. 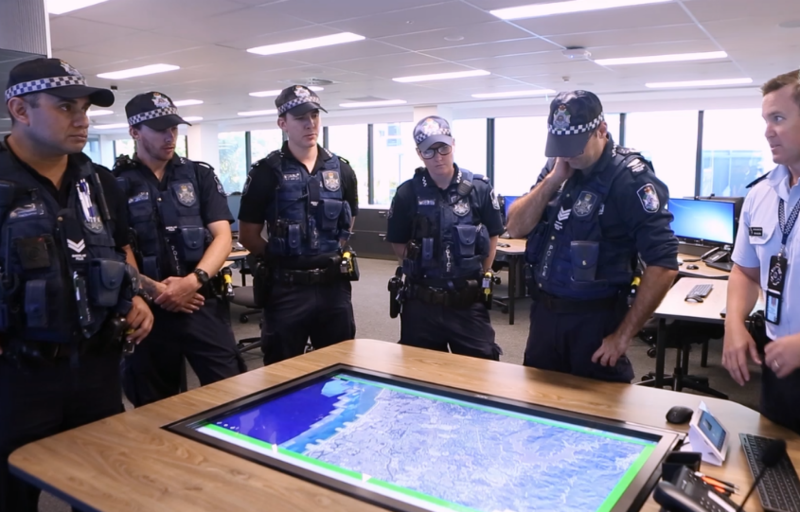 Police visited a number of world-class facilities and undertook extensive consultation with several security agencies both in Australia and overseas to ensure the newly-built facility could support a large-scale event. In addition to the JESCC, a 24-hour police facility will also operate inside the Games Village prior to the arrival of the athletes and for the duration of the Games. Minister Ryan said the two facilities formed an integral part of the Games’ comprehensive security overlay. The deal has officially been done! Gary Ablett is heading home to Geelong after a successful trade agreement was reached between the Cats and Suns today. Geelong acquired Ablett, Gold Coast’s pick 24 in 2017 and fourth round pick in 2018 in exchange for Geelong’s pick 19 in 2017 and second round pick in 2018. The dual Brownlow Medallist who requested a trade to Geelong in late September for family reasons, will return home after seven seasons with the Gold Coast. Ablett will return to play his tenth season for Geelong, after nine years at the Cats from 2002 until 2010. Geelong’s General Manager of Football Simon Lloyd welcomed Ablett back to the Cats. “We are very pleased to have Gary return to the club and the Geelong community,” Lloyd said. “Gary is still playing exceptional football, and we believe he improves our team. He obviously has a long association with the club and to have Gary back, playing so well is an exciting day for everyone involved with the club. Ablett has played 302 games and kicked 386 goals over a 16-season career with both the Cats and Suns. UPDATE @ 10.45am: It’s official Gold Coast! The Titans have appointed Garth Brennan as Head Coach for the next three seasons. CEO Graham Annesley made the exciting announcement at a press conference at the Titans Parkwood training facility on Thursday. “Garth has definitely served his rugby league ‘apprenticeship’ and thoroughly deserves this opportunity,” Annesley said. Brennan, 45, says he is excited about the opportunity and challenge ahead. “I’m really thrilled about the opportunity I have now at the Gold Coast Titans,” Brennan said. “I really want to focus on developing from within, that’s what I believe is my strength. It’s what I take away from my two previous clubs, I want to work closely with the individuals, I want to get to know them and work together to build that culture that everybody talks about. Brennan boasts an impressive resume dating back to 2003 where he started his coaching career as Newcastle Knights Jersey Flegg Assistant Coach. The 45-year-old has since coached Premierships wins at NYC and NSW Cup levels, culminating in his 2017 double victory winning both the Intrust Super Premiership and the State Championship for the Penrith Panthers. As a player, The Newcastle-born Brennan played for the Knights at junior representative level and was also part of the 1991 Jersey Flegg Premiership side. Prior to coaching, Brennan was a member of the NSW Police force for 18 years and also played 200 first grade games in the Newcastle competition. Members and fans, your new HEAD COACH. EARLIER @ 8.00am: The Gold Coast Titans are expected to announce Garth Brennan as their new head coach this morning. The club has called a press conference at their Parkwood training facility at 10.30am with CEO Graham Annesley. Brennan caught the eye of the NRL world after leading Penrith to the NSW Intrust Super Premiership. Previously, he worked under super coach Wayne Bennett before being let go in 2011. The appointment will be sure to add spice to the Brisbane V Gold Coast derbies. It comes two months after the Titans board sacked coach Neil Henry in late August. Cutting-edge Japanese restaurant Kiyomi has managed to retain its prestigious Chef’s Hat at the national 2018 Good Food Guide Awards. The Star Gold Coast’s multi-award winning restaurant once again impressed the judges, claiming its third singular chef’s hat in as many years. 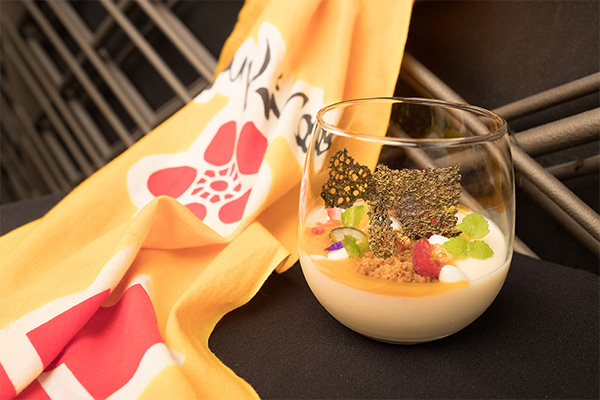 To celebrate to news, Kiyomi have today unveiled a special dish called Tofu Panna Cotta, which is made with mango, daidai, strawberry, vanilla and finished with a goma coral tuile as a light and refreshing dessert. The Star Entertainment Group Managing Director Queensland Geoff Hogg said the dessert is a great example of the mixture of old and new that has birthed the flavours and signature food expression now synonymous with the Kiyomi name. “The opening of Kiyomi in the first part of our transformation heralded a new era for The Star Gold Coast, raising the bar for restaurants in Queensland, and highlighting our investment in our culinary experiences,” Mr Hogg said. “Fast forward two and a half years and Kiyomi is consistently showered with accolades, receiving remarkable reviews from industry, local and international guests who know they are going to get a five –star experience each time they visit. “It is a tribute to the innovation and hard work of the talented team to be recognised in this manner alongside the best restaurants in the country,” he continued. October has been a very successful month for the venue, which also picked up the Best Prestige Restaurant Award at the Queensland Hotel Association Awards for the second time in just three years. Since its launch in late 2014, Restaurant Executive Chef Chase Kojima and his team have created an exceptional ‘Izakaya-style’ menu and experience which features a creative blend of Japanese and Australian flavours, as well as the extensive use of fresh citrus throughout the menu, a direct reflection of Chase’s signature style of using traditional knowledge with creative flair. Always wondered why the coffee from your local coffee shop tastes so much better than the one you whip up at home? Turns out, there are a few tricks baristas use to create the perfect brew every time! myGC ventured behind the counter with Zarraffa’s Coffee CEO Kenton Campbell to learn the secrets to creating a great cup of joe.